This term we continue our journey through history. We will explore which important group of people came to Britain following the Romans departure. Who were the Anglo-Saxons and where did they come from? Why did they come to Britain? What was life like for the Anglo-Saxons in Britain? They will also make comparisons between Anglo Saxons and the Romans. They will learn more about the Anglo-Saxon society and its hierarchy, their weapons and armour, home-life and religion. Were these people invaders or settlers? Importantly, what legacy did the Anglo-Saxons leave us? In Science this term, Year 3 will be learning about Forces and Magnets. 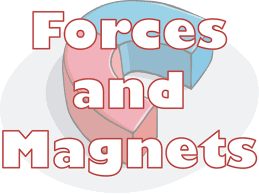 Children this term will predict, compare, experiment and assess their findings in the topic ‘Forces and Magnets’. Children will investigate the question ‘what is a force?’ and experiment to see how forces are used every day. Why do we not float around like spacemen in space? What is gravity? As they learn about friction, children will explore the world around them as they use a range of experiments to find out how objects move on different surfaces. Children are also introduced to magnetism as they continue to classify and compare. They will observe how magnets can attract and repel each other and explore reasons behind why, through a serious of experiments using everyday materials. This half term, in ICT, the children will be learning Algorithms. Children are introduced to new vocabulary and will experiment with the ‘Scratch’ and ‘Tynker’ programs as they begin to understand coding. Children will learn how to write simple codes and explore how codes are used within technology that are relied upon each day. They will also understand what it means to ‘debug’ and what ‘Block Language’ means. As part of our PE this half term we will be building on our throwing and catching skills but incorporating running and jumping as part of Cricket. 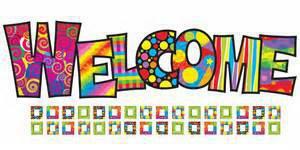 Over the weeks children will develop flexibility, strength, control and balance to play competitive games. They will also continue to work on their attacking and defending skills both outdoors and indoors. throwing and learning how to send and receive a ball and catch with control. Children will evaluate their own success as they decide which skill is suited to certain sports. Children will be required to work both independently and as part of a team to complete the tasks whilst striving to achieve their best. If you complete all of these things AND you name is in Green on the traffic light, you will get to enjoy your Golden Time!